Thread and Word - A Walk with Shrines. 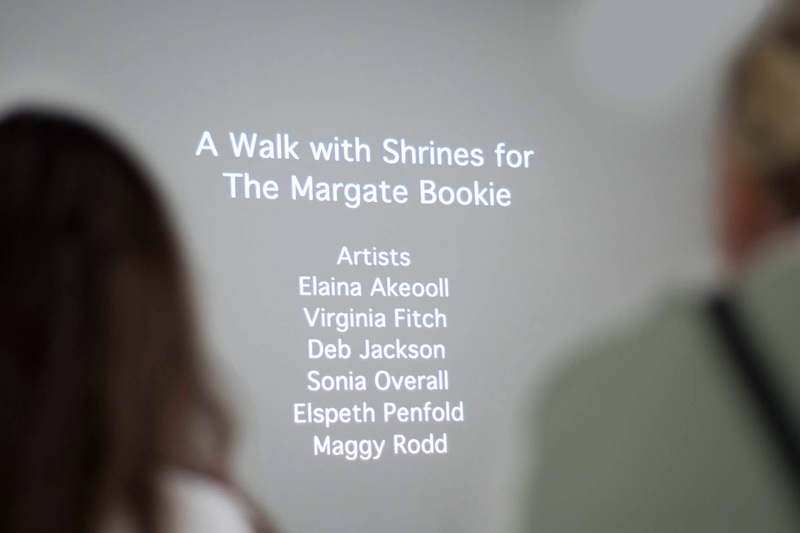 A film with footage of processional walking and of offerings created to form a liturgy to four books by four authors at The Autumn Bookie in Margate. The Margate Bookie is all about breaking down the barrier between authors and readers. The ofrendas give a very personal insight into the writing process – touch the Ramones T-Shirt Jess Kidd wore when writing her first draft, hear the songs that motivated PJ Whiteley when the going got tough. 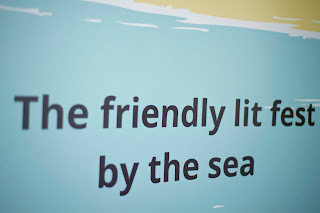 It’s great that writers with the profile and talent of Elise Valmorbida and Owen Lowery immediately said yes when I first told them about the Margate ofrendas. Writers want to know they’re being read. It’s such a lift when someone tells you I really love your book. But Elspeth and her collaborators take this spirit to a higher level. Stop for a second and try to imagine how you would feel if someone made a shrine to your book. I can’t imagine a purer expression of gratitude. May there be many more walks and shrines – and pilgrims! – at future Bookies. and all who came and walked with us ! A WALK WITH SHRINES by Thread and Word from Anna Bowman on Vimeo.